tosses them in the garbage bin—he does not need them anymore, because he is already free from asthma. Just a few months before, it was inconceivable for Richard to imagine himself ever being without his asthma meds. When he joined the workforce, the asthma attacks that he thought he had left behind in his childhood came back with a vengeance, triggered by the stresses of work and the long daily commute from his home in Valuenzuela to his office in Makati. To cope with the severe coughing spells and heavy mucus produced by his body, Richard religiously took his asthma maintenance medication twice a day, and never left home without his trusty inhaler, in case of sudden asthma attacks. At the back of his mind, he was worried about the side effects of his steroidal inhalers, but the most important thing was that the drugs prevented and suppressed his asthma attacks. Richard’s journey to freedom from asthma began at an unlikely place—a milk tea shop. One weekend, while catching up with friends over refreshing, ice-cold milk teas, the topic of asthma came up so Richard shared about his experiences with the chronic ailment. One of his friends, a Filipino traditional arts and culture advocate, mentioned that Hilot, the ancient healing art of the Philippines, is very effective for healing asthma and a host of other ailments. Richard was intrigued. As a child, he had experienced Hilot, and could attest to its effectiveness for pilay (sprain). Could Hilot also work for his asthma and his parents’ health issues? He asked his friend where he could try Hilot. She referred him to the Association of Traditional Health Aid Givers Philippines, Inc. (ATHAG), where she went for regular Hilot sessions. One Saturday morning, Richard, together with his parents, trooped to the ATHAG office in Brgy. Kapitolyo, Pasig City. They were cordially greeted by ATHAG’s manghihilot (Hilot therapists), and taken to Dr. Bibiano “Boy” Fajardo, a doctor of alternative medicine who has been a practicing albularyo (traditional healer) for almost five decades. His first Hilot session, Richard says, was quite “madiin” (with heavy pressure), with the manghihilot focusing on the area of his lungs. After the session, however, he felt very relaxed and refreshed, as if he had just woken up from a good night’s sleep (even if he hadn’t slept during the session at all!). But more than that, after the first session, Richard already felt an improvement—he could already breathe more freely, and the coughing lessened. The following day, he was surprised to find some bruising on the areas focused on by the manghihilot, but the bigger surprise was that he didn’t experience an asthma attack at all over the next four days. As explained by Dr. Fajardo, the Hilot session would strengthen his lungs, while the herbs would flush away toxins and mucus in his digestive system. Lessening his carb intake would prevent his body from making more mucus. After two Hilot sessions, religiously taking his herbs, and vigilantly monitoring his carb intake, Richard observed that his condition had already markedly improved. The coughing fits which used to plague him had lessened considerably. So he decided to taper off his asthma maintenance medicine, taking it only in the morning instead of twice a day. After four Hilot sessions (spaced over a two-month period), and zealously adhering to the recommended diet and herbs, he decided to stop his steroid medication altogether. The mucus production of his body was at a minimum, and the coughing had stopped. Today, Richard is completely healed from asthma. He is free from coughing, free from phlegm. “All clear!” he happily exclaims. In fact, he has also stopped taking the cleansing herbs, but is sticking to a healthier diet program which is doing wonders for him. 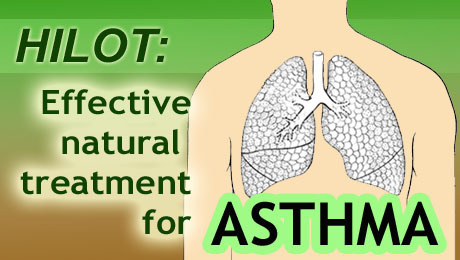 Are you suffering asthma and would like to try traditional Hilot healing? Please call the Association of Traditional Health Aid Givers Philippines, Inc. (ATHAG) for an appointment at (0922) 884 4568 or (02) 267 4012. Good evening, Hello again. Joy here. I am suffering from back ache again due to work (cleaning the house under renovation). I am in Tagaytay most of the time to oversee renovation. What would you suggest that i do to lesson my pain?- (while i am staying in Tagaytay)- natural method..My left leg is kinda numb too. I will schedule another hilot in your office. Cannot take anti-inflammatory pains due to sensitive stomach (with ulcer history). Please text at 09209581818. Thanks.